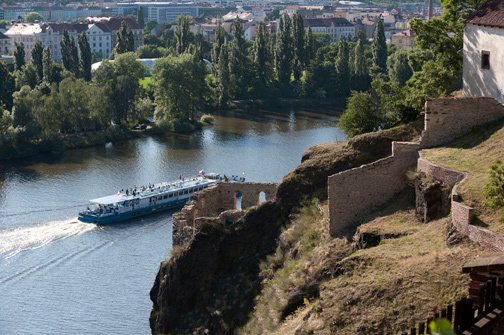 Many river cruises are dedicated to exploring specific topics. It’s not unusual to have an entire cruise focused on art, food, a specific heritage or lifestyle. For example, a river cruise may focus on art and the impressionist era, offering guided excursions through places like Auvers-sur-Oise, which Vincent Van Gogh painted, and Claude Monet’s gardens.1 There are even river cruises dedicated to fine dining and the Christmas markets in Europe. Typically housing approximately 200 passengers, river cruise ships tend to be smaller than their ocean-going counterparts. Their small size allows them to easily navigate narrow waterways and show off smaller towns, villages and cities along the interior portions of several countries. The intimacy of the ship allows you to get to know those who are traveling with you – talk about a personalized touch to your vacation! Who knows, you may even feel like family when you depart. While river cruises don’t often include the glitz and glamor of big-time merrymaking that is often found on their ocean-cruising counterparts, many river cruises offer their own unique forms of entertainment. River cruisers can enjoy things like eloquent music or local cultural performances featuring performers from the town where the boat is docked. When exploring the town, many people enjoy cooking classes featuring local fare, art classes and lectures about a topic of cultural interest. For more cruise news you can use, click here.